South Florida remains one of the most interesting places in America. I am not saying it is a great place, but it certainly is an interesting place. Like the rest of America, it is becoming broken up into various strains of red and blue, not to mention all the ethnicities involved. This ride would take us across the Overseas Highway. The weather on this trip was amazing. Broken clouds, every day low of seventy, high of eighty. Sam went with me for much of the way on this trip. 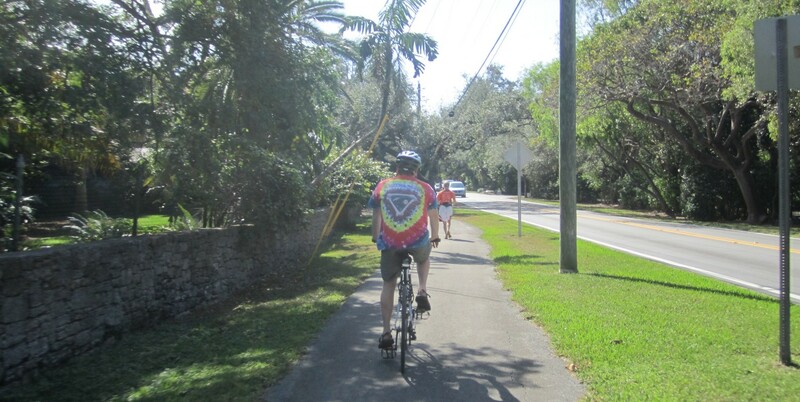 We biked off Saturday morning directly from the Fort Lauderdale airport, going south. Our destination the first night was in South Miami Beach. The second night was Key Largo, third night at Donnie’s place in Marathon, and fourth night in Key West. My bike speedometer clocked 180 miles total in four days, plus we cheated with a thirty mile bus ride across a particularly remote and dangerous stretch of highway between Homestead and Key Largo. 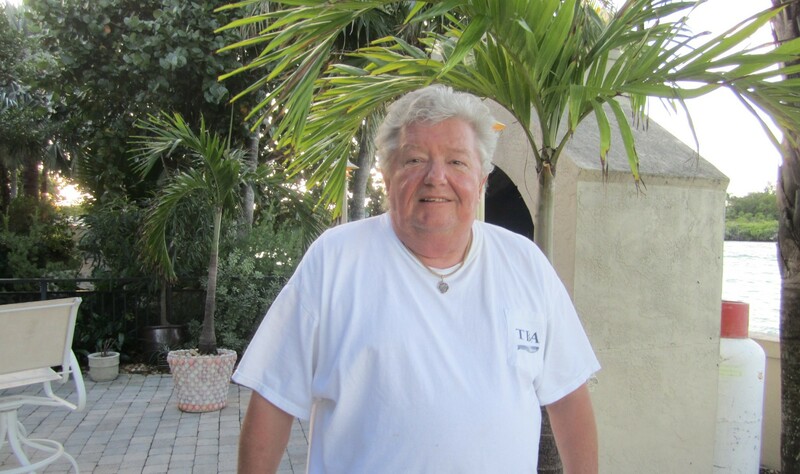 I returned to Fort Lauderdale airport the fifth day by rental car from Key West, picking up Sam in Marathon along the way. 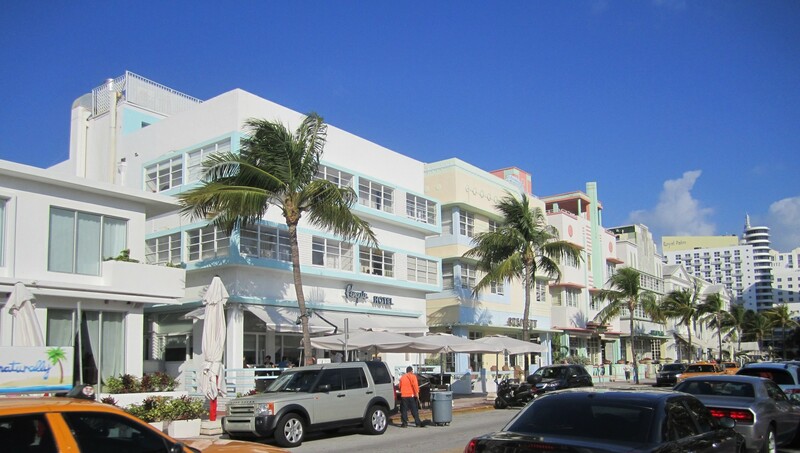 South Beach is one of my favorite places in Florida. The Art Deco district extends about thirty blocks, with buildings well preserved, and amazingly uniform. Tourists and locals here represent every ethnic group, except straight white mainstream Americans. Whenever you saw someone who seemed to fit that description, it turned out to be an Italian tourist. The bartender at the Club Deuce told Sam that the “American” girls hung out down the street at The Clevelander. We stayed at the Penguin hotel. 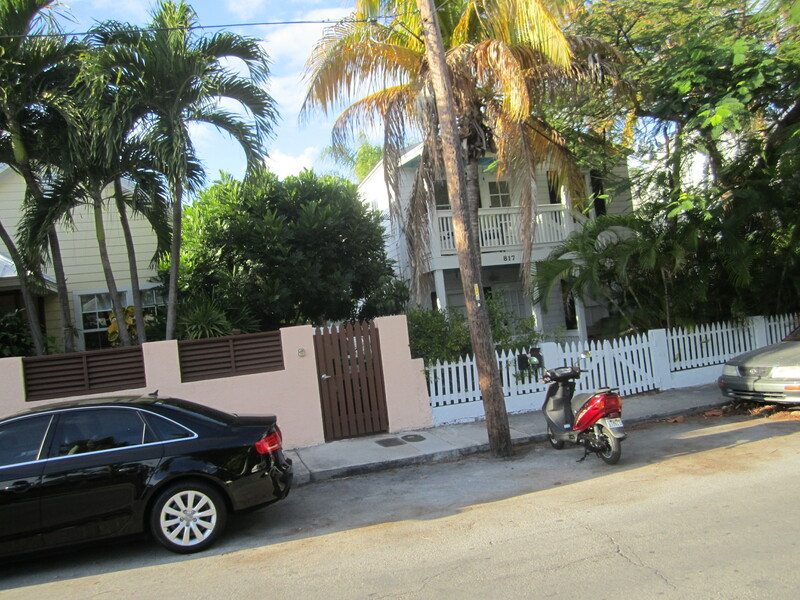 Sunday we rode through downtown Miami, then Coconut Grove, then further through wealthy neighborhoods south of Miami. There is a nice bike path running through this stretch. Thirty miles south of Miami, as you approach Homestead and Florida City, the now agricultural area becomes poor and working class. We caught the bus to Key Largo in the Walmart parking lot in Florida City. Sunday night in Key Largo we went looking for somewhere to eat. Across the canal from our motel was a bar / restaurant. Everybody was watching the NFL game. A couple about my age both wore a Harley t-shirts. Nobody seemed to be eating, so we tried another restaurant further down the highway, walking in the dark. 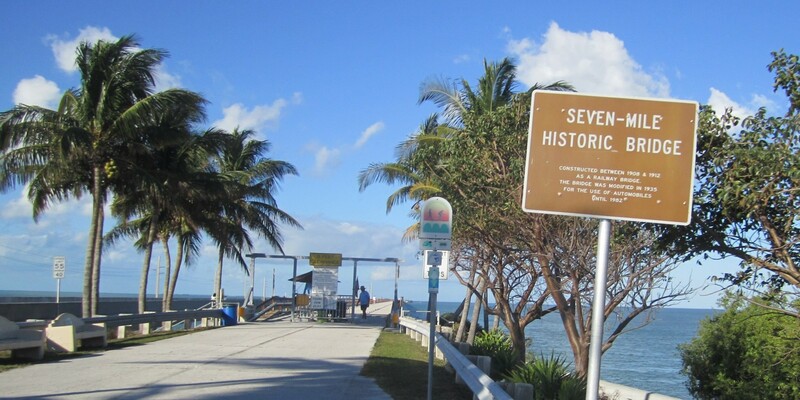 The hundred mile Overseas Highway from Key Largo to Key West covers a stretch originally connected by the Overseas Railway of Henry Flagler., which was destroyed by a hurricane in 1935. There are parts of the old railway paralleling the modern highway where it is now used as a delightful fishing pier / bike path. At the Seven Mile Bridge, south of Marathon, the signs fail to tell an unknowing visitor that the parallel bike path stops after three miles! I had to turn around and go back, then go across the bridge on the main highway. Stopping for a beer Monday afternoon on a long stretch of highway, I had a delightful conversation with two fifty something guys. One was a steelworker from Gary, Indiana; the other was from Ontario someplace. They both described the quantity of stuff that could be trailered down to the Florida Keys from way up North. The Ontario guy swore that his friend brought, from Canada, a large boat on top of an SUV, all towed by a forty-two foot motor home. Tootie’s brother in law Donnie Allred and family own a delightful spread in Marathon, complete with every boat and fishing implement you would ever need. We had a very tasty steak dinner there on Monday night. Because of the tight schedule, I left there early the next day for Key West. Key West has an altogether different vibe. After a hundred miles of open water and roadside buildings, you suddenly find yourself in a city. 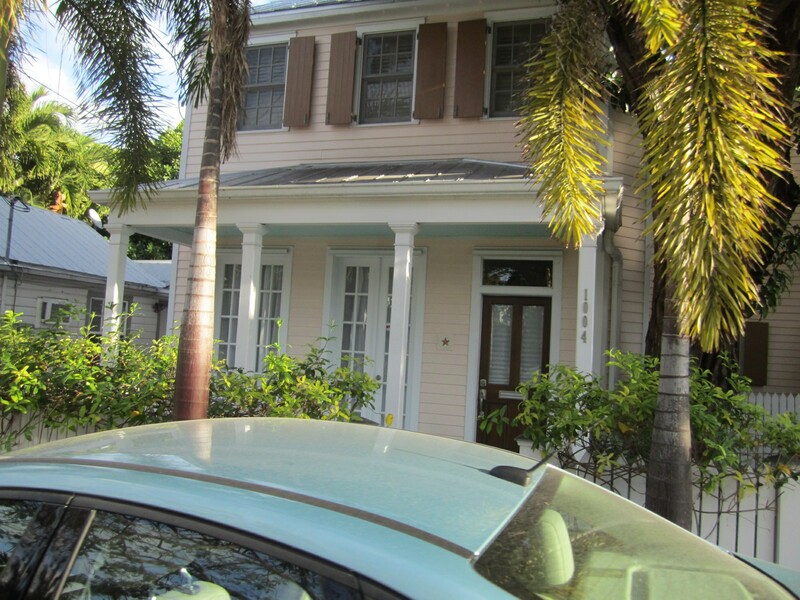 Densely packed with old wooden buildings, Key West is a singular place. It even has housing projects. I had vaguely heard that Key West had wild chickens. Getting up to leave at six thirty on Wednesday morning “when the rooster crows at the break of dawn”, this guy was standing in the middle of a major intersection, crowing away. I’m so glad you and Sam had time to do this trip together. I love Coral Gables and the art deco of South Beach but the rooster in the middle of the road is the best.